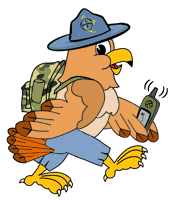 A current version of GSAK (Geocaching Swiss Army Knife). A .csv file containing a list of only current OCNA Waypoint names (i.e. OUxxxx). This was provided by OCNA, our database can be and was converted to .csv in one click. An API Key from the Opencaching API, OKAPI. This is a free and open API, anyone can request a key. Let that macro work it’s magic, and voila! Our user had his very own .gpx file of all active OCNA caches. It is available for download here, and is dated 23 March 2017. It is 12 MB unzipped, so that link is to the 2 MB zipped version. This .gpx is a thing of beauty too, even contains pictures uploaded to cache pages, should your device support them. They definitely show in GSAK or EasyGPS. Should we find our migration to the new Opencaching.pl code still taking longer than we hope, we will update it every few weeks, and post that info to the main page of our site.